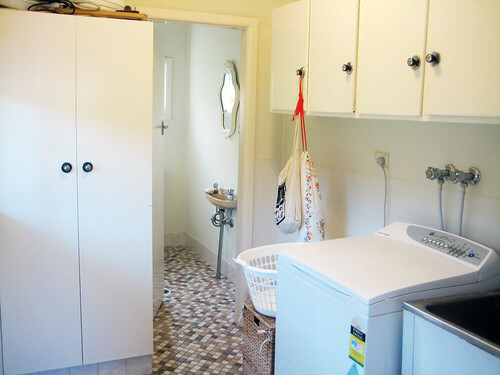 The laundry is almost there. See the original plans here. I also picked up a new bed for our cat from Ikea. She likes to sleep here up high and look out the window to the left of this photo. 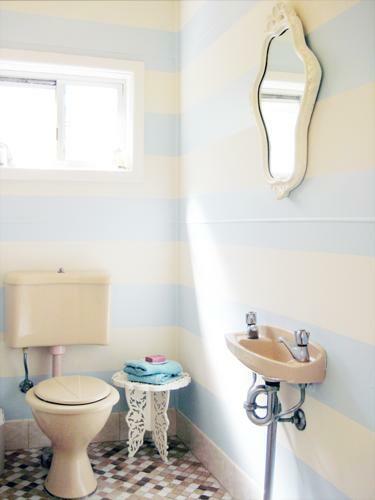 How I wish I could replace the apricot toilet. Never mind. The side table was a market find a while back that I painted white. 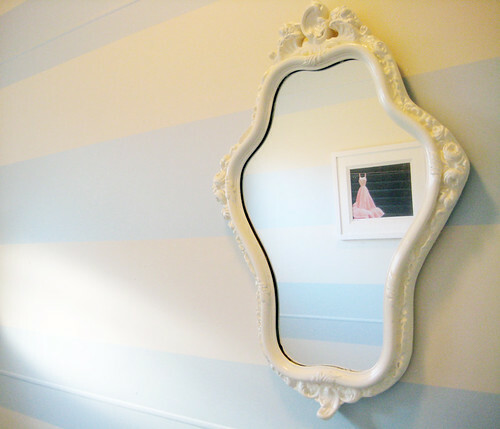 I also painted the blue horizontal stripes on the wall. 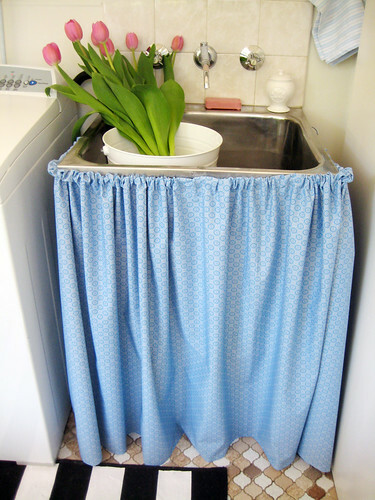 The sink skirt also posted here. 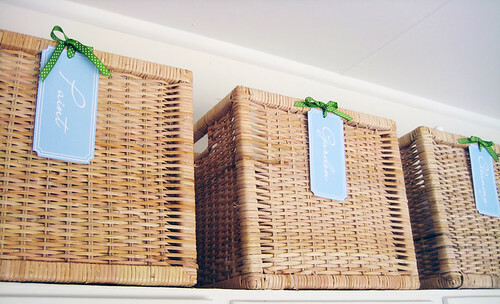 Baskets picked up from Ikea and I printed the labels. I'm not usually this organised! Cabinet knobs replaced with these crystal ones. Below is the before shot to compare to. 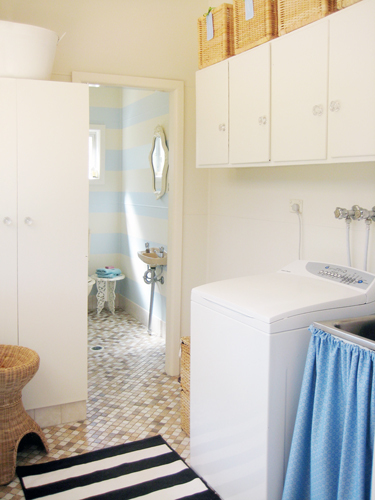 The changes are small but we have added additional storage and the bathroom doesn't make me cringe as it did before. See the original plans here. 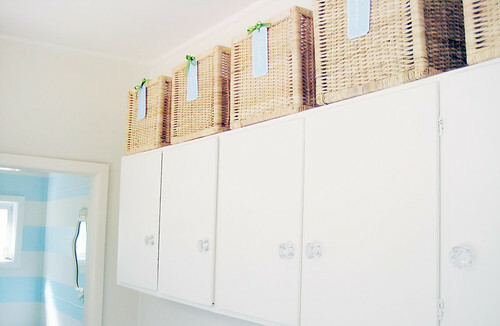 I have a little decorating extra in this room which I'll share with you tomorrow.